A report generated by Zameen.com analysts reveals that Bahria town is one of the most popular residential areas in the city. 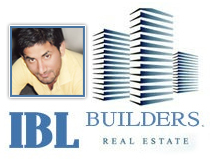 According to Imran Arshad of IBL Builders, when interviewed by Zameen.com agents, stated that the core reason of the popularity of Bahria Town is not just that there are no power outages’ or long painful hours of load shedding in the community in this sweltering heat. Its due to the multiple lifestyles amenities offered that make it so. Yet his factor alone has increased the popularity and price hike of the houses in the community.The community also provides stringent security measures to its residents. These both issues are critical to the people of Pakistan and Bahria town has managed to overcome both.